Skype is an application that provides video chat and voice call services. Users may exchange such digital documents as images, text, video and any others, and may transmit both text and video messages. Skype allows the creation of video conference calls. 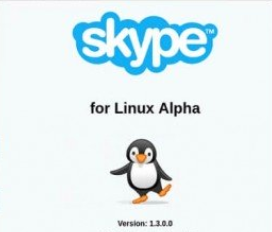 Skype is available for Microsoft Windows, Macintosh, or Linux, as well as Android, Blackberry, and both Apple and Windows smartphones and tablets. Instead of being hidden, the menu items are now disabled when you’re not signed in. Logout from the menu works consistently now. Fixed the post-install script on all supported distributions. Fixed the ‘minimise to tray’ function for Cinnamon. URL links that are sent in a chat now open with the browser. Fixed the Redo shortcut for Linux (CTRL – Y).